What Is the Cost To Remodel a Kitchen? Ballparking an accurate cost for a kitchen renovation is pretty tough. Why? There are a lot of moving parts, a lot to consider, and a lot that can’t really be assessed without rolling up your sleeves and seeing what’s behind the drywall, so to speak. Here’s what we do know: most experts agree that the majority of people who undertake a kitchen renovation don’t fully grasp how much it’s going to cost, so they rarely budget enough - in some cases upwards of 30% too little. Some of the blame comes from the plethora of wildly popular home DIY and renovation television programs that have taken the cable networks by storm. There’s something satisfying about seeing a dump of a home transform into a beautiful swan of sorts - and a lot that people want to identify with when they watch that stuff. While we’re a ‘glass is half full’ type of company - we’ve got to address the elephant in the room - those shows are cut down into a palpable 22 minutes and don’t show the blood, sweat, tears, and tough decisions most homeowners must endure to come out the other side of the renovation tunnel. How much should you be spending? Ready for this? Is Your Kitchen Renovation Worth It? First up - they say kitchens sell houses, so we’re in good company. Kitchens are the center of the home, the beating heart of the homeowner experience, so it makes sense that a tastefully renovated kitchen is going to pay itself back - and then some - but not always in the ways you may think. For example, an interesting study from Remodeling magazine’s Cost Vs. Value Report, an average kitchen remodel project that cost homeowners $60-$65k range, allowed them to recoup about $37k - an approximate 59%. At the same time, an upscale full-on kitchen renovation that cost upward of $125k had an average return on investment of about 53.5%. More work and more money, for less pay off. So is a kitchen renovation worth it? Yes, but before you go all-in, it’s always important to decipher between need and want. We find that overeager homeowners who want everything under the sun could make more sound financial decisions if they focus on the things that need the most immediate attention and progress through the process with calculated precision. Here’s the big one. The DIY crowd would have you believe you can tackle a kitchen renovation yourself, and for the most part, they’re right. There’s nothing like standing back and basking in the glory of your own hard work - but if you’re like the majority of us, renovations are tough stuff, and require a lot of time, effort, and knowledge we sometimes don’t have. Cue the contractors. Getting an accurate estimate from a contractor can also be tough, but the key to making a good choice on your contractor decision is opting to believe a contractor who doesn't have all of the answers over the phone. A good contractor won’t waste your time by promising you the moon over the phone - they know better. Kitchen renovations can be fickle, and so a contractor who has your best interest in mind will authentically share with you the intricacies of estimating for a job like this. A good contractor won’t quote you over the phone. A good contractor won’t quote you a drastically lower number than their average competitor. A good contractor will share their immediate concerns and walk you through their estimate with a fine tooth comb so you understand and appreciate the numbers and what they mean. Second, never select the cheapest contractor - there’s a reason why the deal seems too good to be true - it probably is! Contact and invite a number of reputable contractors who have: amicable references, proof of insurance, a portfolio of satisfactorily completed work, as well as a good reputation to quote on the job. Narrow down your choices by selecting the two or three closest estimates and investigate further. Great minds think alike, after all. If you’re after a ballpark answer for how much your kitchen renovation could cost you - there are a number of kitchen renovation calculators available online that can help place an approximate cost on some coveted and popular kitchen remodel projects, finishes, and materials; you can use our budget calculator to determine your budget for customized cabinets. They’ll enable you to select specifics like granite or marble counters, custom vs stock cabinetry, flooring materials, appliances, and lighting, based on your tastes. While this is never a solidified estimate, it can be a good way to help you differentiate between the inflated costs of more expensive items and materials. There’s a lot more to selecting a great kitchen floor than picking out something you love the look of - while aesthetics are indeed important, your lifestyle can help you make a better choice based on how you choose to use your kitchen. If you have dogs and a big family, for example, a hardwood or cork floor in the busiest room of the house may not be your best bet, while tile or engineered laminate may help bare the brunt of increased foot traffic. HomeAdvisor estimates the average amount to install flooring could cost a homeowner anywhere between $1,498-$4,240 - depending on which material is selected. Carpeting and vinyl/linoleum are typically on the more affordable side, while ceramic or porcelain tile, natural stone, or hardwood floors occupy the top-tier costs in terms of labour intensity and costs of materials. Stock cabinets come from a factory prefabricated and are typically sold as-is by a mainstream retailer such as IKEA of the Home Depot. They’re quick to ship, and sometimes are available in-store, and are manufactured in standard sizes. A semi-custom cabinet alternative means the factory will take a little longer to produce your order depending on the number of customizations you’ve selected, and will use slightly higher quality materials. 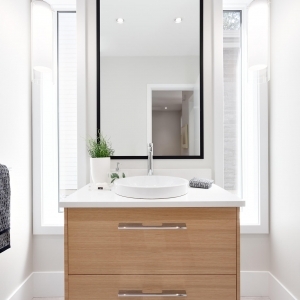 Custom cabinets represent the upper echelon of the cabinet world and are custom made to match the buyer’s exact measurements and specifications using very high-quality materials. They take longer to receive as these jobs take time. Each level of cabinetry varies greatly in terms of cost. Stock cabinets typically run anywhere from $60-$200/square foot as the cheapest solution. Semi-custom cabinets will fetch an approximate $100-$650/square foot, while custom cabinetry can cost a homeowner anywhere from $500-$1200 per square foot. 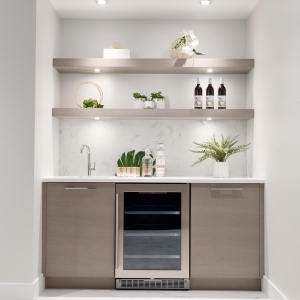 Your dream kitchen rebuild means outfitting your space with all the finest amenities you can muster, and typically that means splurging on high-end kitchen appliances. 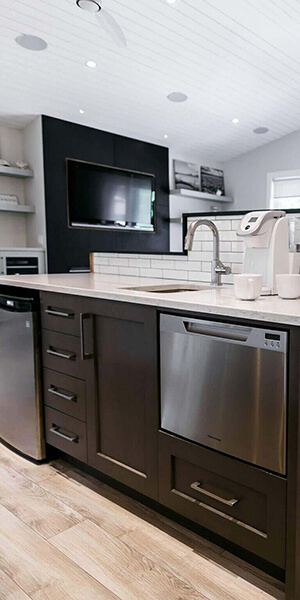 We consider there to be three tiers of appliance budgetary considerations, budget appliances, mid-range appliances, and high-end or luxury appliances. If you’ve sunk a ton of money into your kitchen renovation and don’t find you have a desire to push the envelope culinarily, you can opt to choose budget appliances. Typically this will mean electric ranges, stoves, and appliances readily available from any number of respective home appliance department stores. There’s absolutely nothing wrong with choosing a reliable electric range that offers modest styling and an attractive price point. In this range, expect to spend around $4000-$5000 for a decent refrigerator, a basic microwave, a dishwasher, and an electric stove. Mid-range appliances add a zest of culinary expertise, some added efficiency, and a slightly more stylish aesthetic than their budget cousins. Mid-range appliances are perfect for those who are budget-conscious, but want to do a little more entertaining and cooking in their new space. The benefits being, long lasting durability, a longer warranty, and a more polished appearance. For a fridge with french doors and a water/ice dispenser, a larger microwave with multiple cooking features, a hidden control dishwasher, and a natural gas slide-in range, expect to spend anywhere from $10,000-$15,000. Dual ranges with 6 burners and a separate gas griddle for Sunday morning pancakes. An island mounted custom range hood to match your decor. A high-efficiency dishwasher with cleaning tech. High-end microwave or steam oven. It costs to be cool, so to acquire this level of culinary brute strength, expect your budget to be anywhere from $30,000-$50,000. Countertops are a central aspect of the aesthetic of your new cabinets, and the work surface that gives your new kitchen purpose and functionality. Whether you’re renovating to give your counters an upgrade, or you’re replacing them as a crucial investment into your home’s value, you can take your pick from a vast array of materials that range dramatically in price. Natural stone products like granite, marble, and quartz countertops surfacing are everlasting popular choices that can cost anywhere from $35-$90 per square foot, whereas laminate countertops are a budget-friendly choice that help maintain a conscious budget anywhere from $10-$30 per square foot. New school countertop material considerations like concrete, soapstone, and paper composite mixed from a variety of paper fibres and resin - can cost anywhere from $75-$125 per square foot. Coming up with a kitchen renovation budget is one of the most time-consuming parts of the planning process. 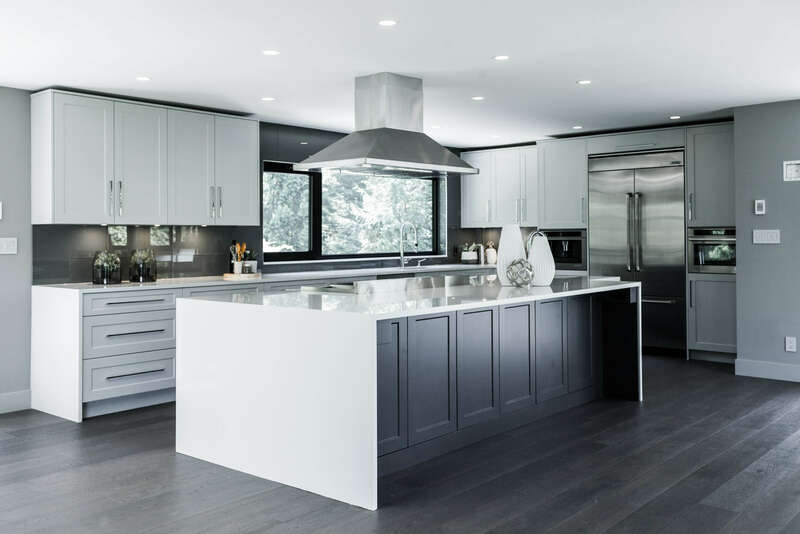 Working with a professional kitchen designer from KAD is your first step to properly ensuring you’ve considered all of your options and you have a fluid background of knowledge before ordering your materials. Your dream kitchen is often associated with a no-holds-barred approach - but truthfully, your dream kitchen can feature a relatively conservative and/or modest budget and still achieve results consistent with a dream space. The dream isn’t to break the bank - the dream in dream kitchen is all about building a space you can enjoy today, tomorrow, and well into the future. We can help make that happen.